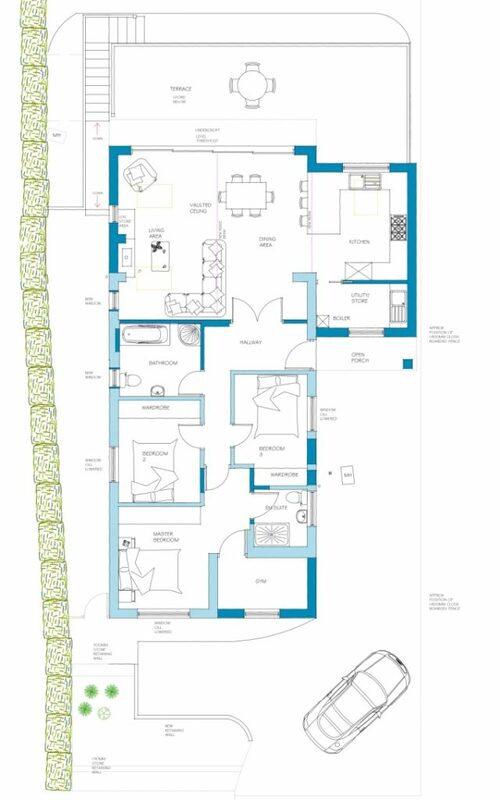 Our client approached bi Design to replace an existing conservatory and garage at the back of a 3 bedroom bungalow on a hilly site and improve the layout of the bungalow where possible. 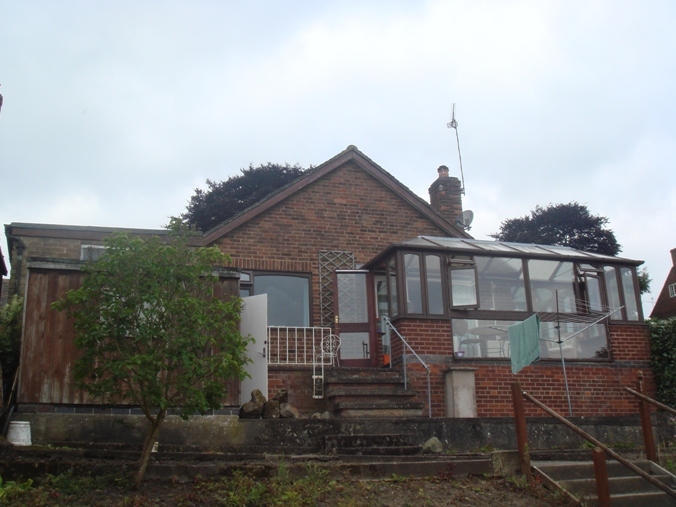 Very early on it was evident just replacing the conservatory wouldn’t provide the accommodation the client craved. 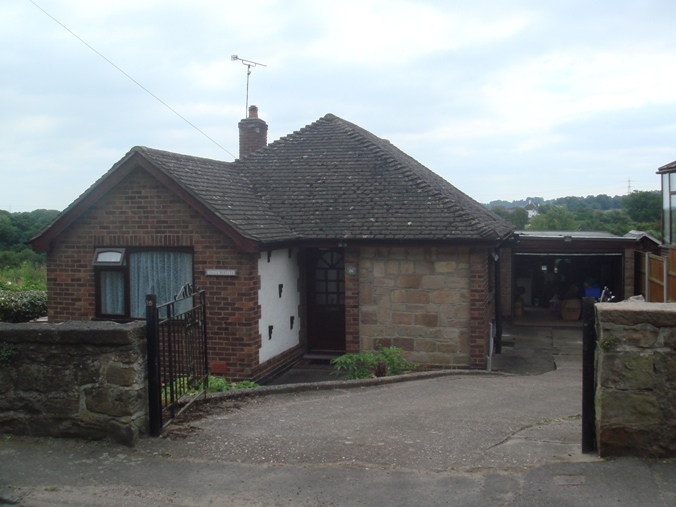 The concept was to extend to the rear with a vaulted glazed gable and replace the garage with a new gable at 90 degrees to the main roof. 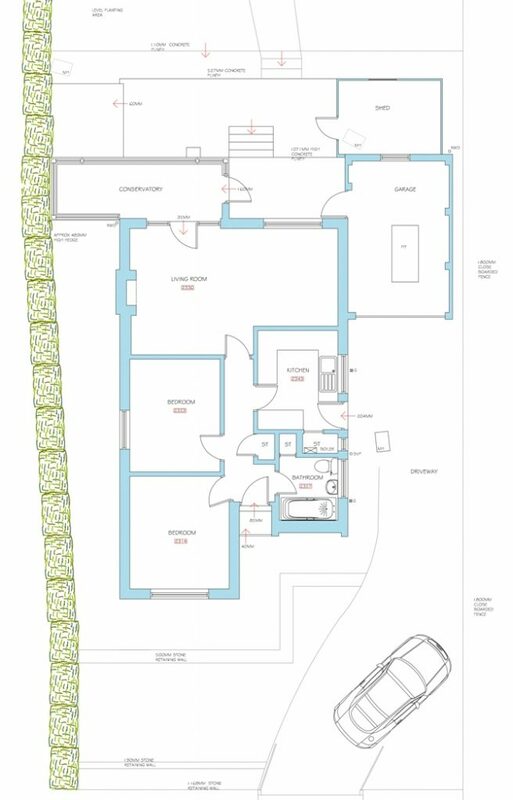 The layout was reworked to reduce the hall way from the front and make the existing kitchen into the new main entrance from the side. 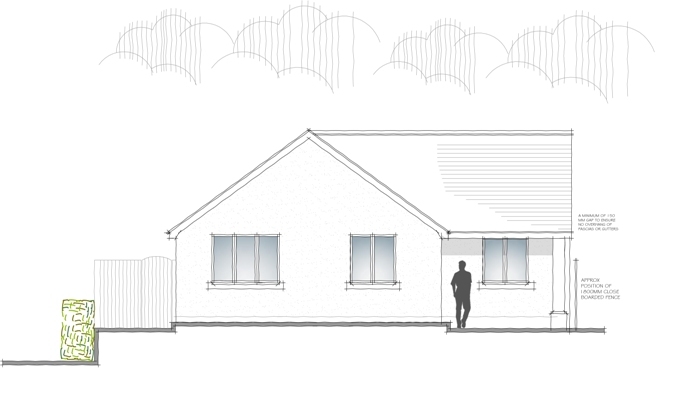 The new side gable created the kitchen space which was open plan to the living space. 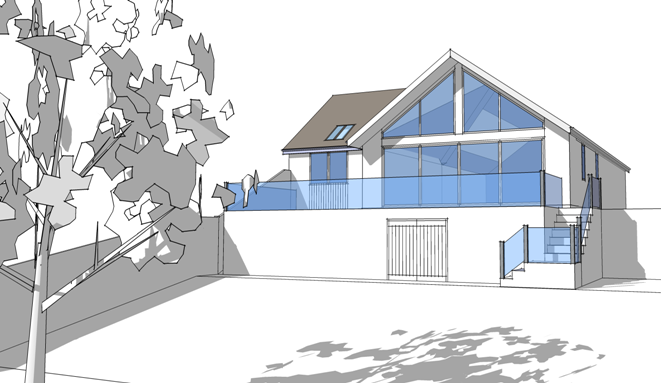 Having an integrated extension rather than conservatory allowed for all the spaces to be merged together within the thermal envelope of the building preventing having a space which gets too hot and too cold. 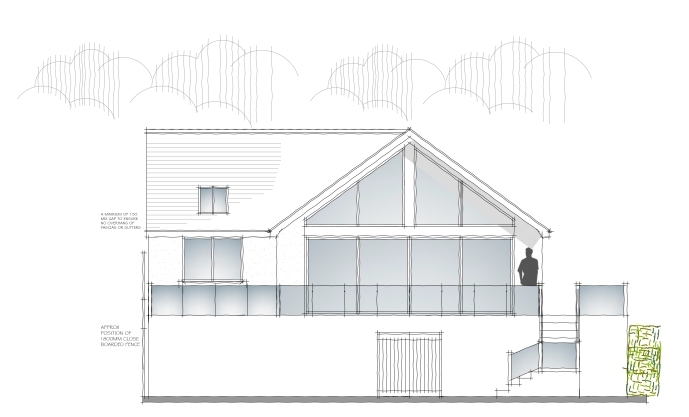 The roof over the vaulted gable was extended partially over a new raised patio sun deck which incorporated a lower ground floor store. 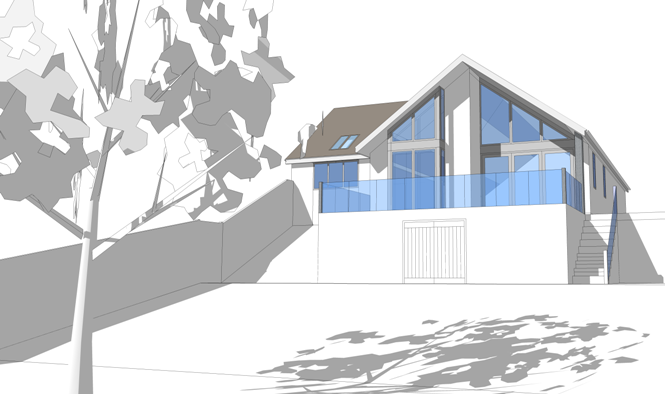 The patio had a clear glass balustrade to the perimeter and created the perfect area to sit out and look over the views to the rear. Access to the garden was via new steps to the side of the balcony.